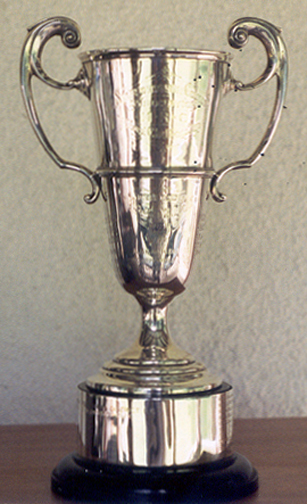 Presented to the Association by Major W. Moat in 1911. 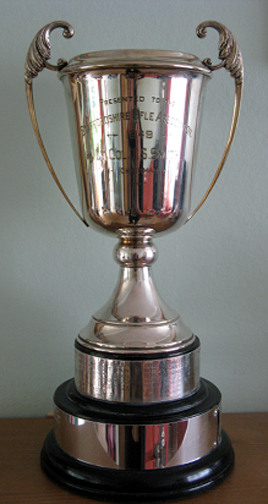 Awarded to the Winner of the Class 'C' Aggregate at the Staffordshire Combined Rifle Meeting. 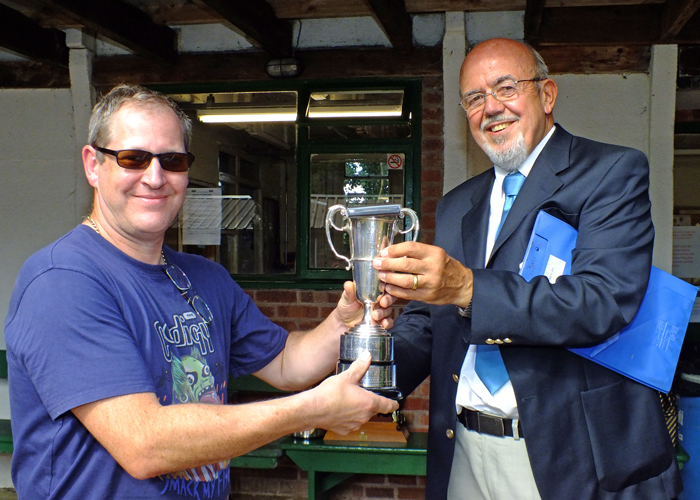 The above photograph shows SSRA Chairman - Richard Tilstone (pictured right), presenting the Moat Cup and Medal to Paul Baron (pictured left). 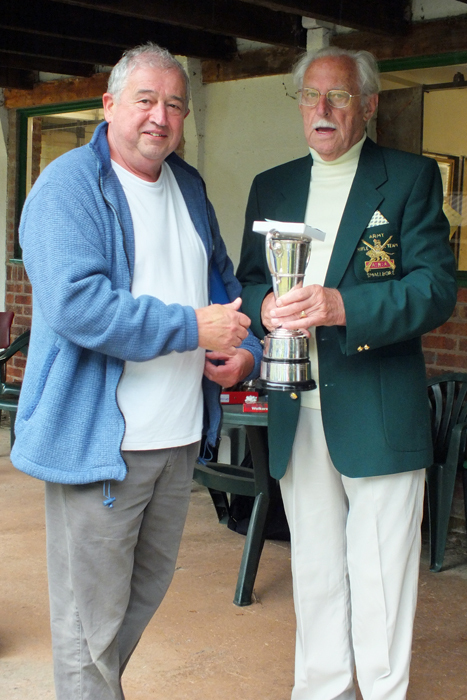 The above photograph shows SSRA President - Major (Retired) Peter Martin MBE, pictured left - presenting the Moat Cup to Mike Willcox, pictured right. 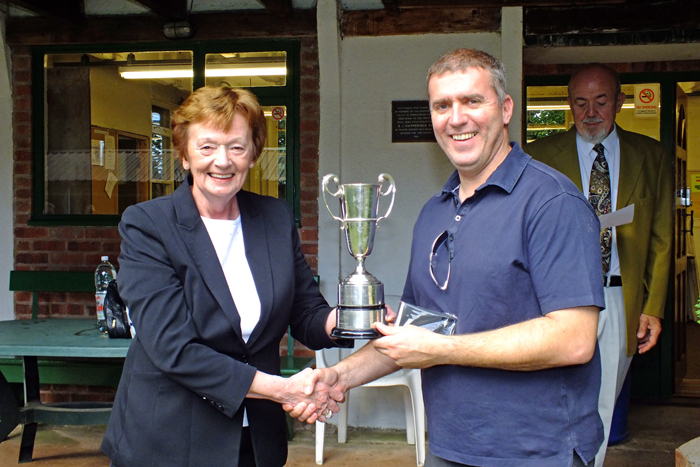 The above photograph shows Mary Jennings, pictured left, presenting the Moat Cup and the Staffordshire Class 'C' Aggregate 1st Place Medal to Stuart Powell, pictured right. 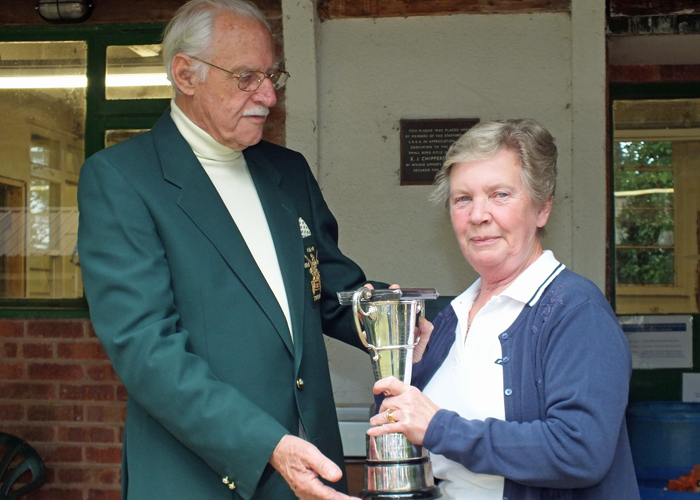 The above photograph shows Mrs M Bayley, pictured right, receiving The Moat Cup for 2014 from SSRA President - Major (Retired) Peter Martin, MBE. 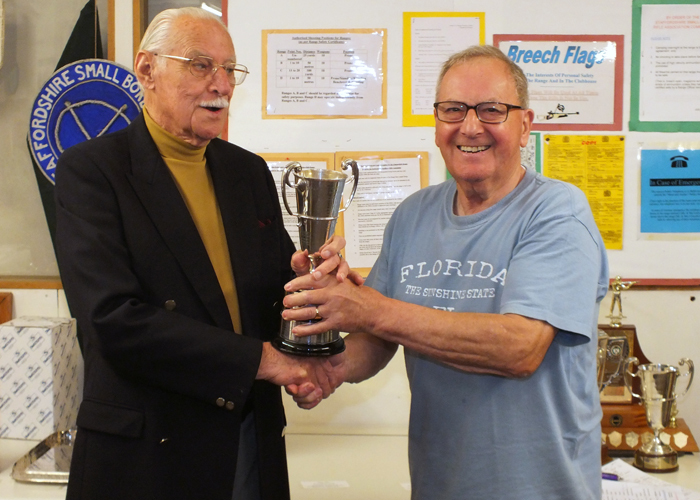 The above photograph shows J. Wilshaw, pictured left, receiving the Moat Cup for 2013 from SSRA President - Major (Retired) Peter Martin, MBE.